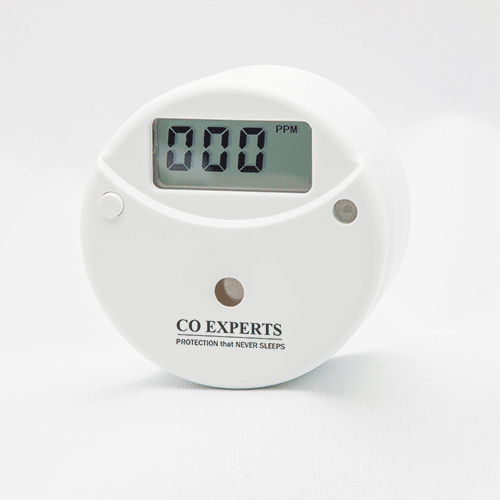 The CO EXPERTS Ultra model PG-2017 is designed to offer “real-time” monitoring of Low levels of Carbon Monoxide for those with heightened heath concerns. 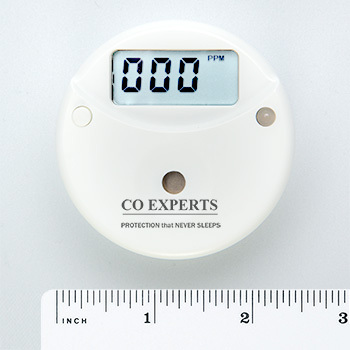 This unit starts to display readings at 5 PPM, and is available with the first audible alarm level at 5 PPM or 10 PPM depending on your specific needs. The unit will also increase the frequency of audible alerts based on alarm points of 25 PPM, 35 PPM, and 50 PPM and above. Among its many features is a simple scroll-through LCD display controlled by a single button that shows current CO levels, “Peak CO levels within the past 24 hours, and a “COHb” display that calculates (if present during a CO incident) what level of Carboxyhemoglobin saturation the average person has been exposed to. The PG-2017 also includes failsafe features such as “automatic silence” to conserve battery life in the event an alarm happens when you’re not home, internal sensor “fault” to warn in the unlikely event the unit perceives a problem, and a “Low Battery” feature that warns when its time to replace the 2 AAA batteries. The unit is simple to install utilizing the mounting hardware and / or the Velcro tabs included, making it easy to remove and take with you for travel. When it comes to protecting yourself, your family and your loved ones – don’t just meet the standards – exceed the standards with real Low-Level CO protection in the PG-2017 Ultra. Model PG-2017 is available in 2 separate versions. Both start visual display of current CO readings at 5PPM.